This statement is also available in German. The current European biomass policy has serious consequences for the environment. The European energy companies are on a global shopping spree for timber. The electricity suppliers are burning this wood in their power plants and receiving public money according to EU rules. This leads to forest destruction and is harmful for the global climate. denkhausbremen did research on the impact of the EU biomass policy in 2015 in the southern United States and France and is currently working with its partners against the clearcut policy of those power companies (www.denkhausbremen.de/clearcutting-of-forests-for-e-on-and-rwe). The current EU Biomass policy is causing the destruction of biodiverse wetland forests in the southern US-states. 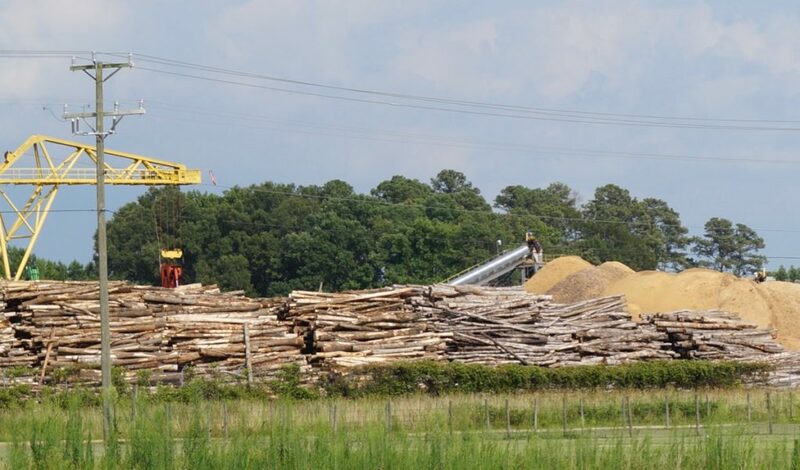 Research has already documented the chain of custody from clearcuts in the southern US states such as North Carolina to the European power plants. German energy companies like E.ON and RWE misuse this false biomass strategy as a retirement program for their super old power plants. They collect public subsidies for converting their power plants from coal to wood firing. Wood as fuel for power plants is damaging the climate and should not be considered as renewable energy according to the rules of the EU (the carbon contained in the wood of a 100 year old tree is blown into the air in seconds when burned). It is questionable whether this type of consultation is suitable to reach stakeholders and directly affected citizens in sufficient numbers. The method has a high entry barrier and is tailored to the “Brussels Bubble”. The fact that the online questionnaire of this survey is available in English only excludes even more people. Together with its international and national partner organizations denkhausbremen expects the European Union to reverse its future biomass strategy. Wood as fuel for power plants should no longer be supported by the EU.